We looked at the top 9 Streaming Devices and dug through the reviews from 84 of the most popular review sites including CNET, Tom's Guide, PC World, New York Times Wirecutter, Wired, Digital Trends and more. The result is a ranking of the best Streaming Devices. Our experts reviewed the top 9 Streaming Devices and also dug through the reviews from 84 of the most popular review sites including CNET, Tom's Guide, PC World, New York Times Wirecutter, Wired, Digital Trends and more. The result is a ranking of the best of the best Streaming Devices. This top-of-the-line Roku device is the top recommend pick because it provides full support for 4K HD TV and Dolby sound. With support for the fastest Wi-Fi speeds, the Streaming Stick+ will offer the fastest browsing and uninterrupted streaming. DWYM Electronics Experts plus CNET, The Verge, Tech Radar, Tom’s Guide, Digital Trends, New York Times Wirecutter. Along with user reviews from Amazon.
" The Roku Streaming Stick Plus delivers 4K and HDR video in a compact package for an affordable price." "If you’re like me and you’re looking to light up both the Dolby Vision and Dolby Atmos lights in your home theater, the Roku probably isn’t for you." If you're looking for the best streaming device for Apple devotees, Apple TV is it. It provides compatibility with iPads, iPhones, Macs, Apple Watch and iTunes content. Apple TV also offers a beautiful 4K HDR and immersive Dolby Atmos sound if you have a compatible TV and sound system. DWYM Electronics Experts plus Tech Radar, CNET, Trusted Reviews, Tom’s Guide, Engadget, New York Times Wirecutter and 1 more. Along with user reviews from Amazon and Walmart.
" The new Apple TVs work best with iPads, iPhones and Macs thanks to Apple AirPlay and will allow you to easily stream content from your phone or tablet to the big screen." "The new Apple TV does not support VP9 and therefore we can't deliver 4K resolution on this device." Quickness is the key to the Amazon Fire Stick. Fast-moving Wi-Fi gives you fast downloads and less buffering. The easy-to-use menu and voice controls make navigating and finding the content you want a cinch. An Amazon Prime membership and other Alexa enabled devices can take your options to the next level. DWYM Electronics Experts plus Trusted Reviews, Tech Radar, PC World, PC Magazine. Along with user reviews from Target.
" The new chipset is said to be 30% quicker, while the 802.11ac Wi-Fi ensures more stable streaming, quicker downloads and faster buffering." "Resolution is limited to 1080p, although this is perhaps understandable given that this is a budget-focused device." The Express comes at the lowest price of all the Roku models, so it's definitely budget-friendly. However, it lacks support for 4K HD TV. The Wi-Fi antenna also relies on older technology, which can result in slower streaming. DWYM Electronics Experts plus CNET, Trusted Reviews, Tech Radar, Digital Trends, Tom’s Guide, TechHive. Along with user reviews from Amazon and Best Buy.
" Roku claims an operational speed that's 5x faster, and comparing the two, it felt pretty close to that at times"
"While scrolling lag has been minimised to be almost unnoticeable, loading and buffering times can be a little longer than you’ll notice on the £10-pricier Fire TV Stick." We identified the majority of the streaming devices available to purchase. 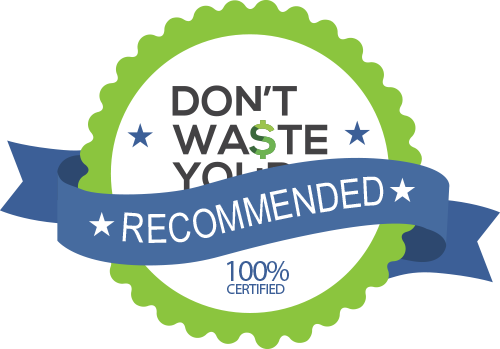 Reviews from our DWYM category experts and analysis of some of the most respected sources including: CNET, Tom's Guide, PC World, New York Times Wirecutter, Wired. We also incorporate user reviews from the leading retailers including Amazon, Target, Walmart, Best Buy. The Roku Streaming Stick Plus delivers 4K and HDR video in a compact package for an affordable price. So far, there hasn’t been too much to criticize the Roku Streaming Stick+ about. And that’s because, as a standard 4K HDR10 streamer, Roku’s latest iteration of the streaming stick is an all-around great device. In spite of a few quibbles about the remote control and some dated navigational issues, the Roku Streaming Stick+ is simply the most complete 4K HDR streaming device you can get for the price. Improved Wi-Fi, support for 4K HDR, and Roku’s excellent interface and search features make this an easy choice as the best all-around streamer. If you’re like me and you’re looking to light up both the Dolby Vision and Dolby Atmos lights in your home theater, the Roku probably isn’t for you. The Roku Streaming Stick+'s remote could have used an audio port. Watching your own content requires a media server. The search could stand to expand its depth in addition to its breadth. The user interface on some of the Roku apps isn’t as current as it could be. Most apps have now been updated to look current, with Spotify and HBO Now among those that were updated in the past year. With a comprehensive selection of apps, a straightforward interface and a neutral outlook, it challenges the Fire TV Stick and its more Amazon-focused experience. It’s a minor point, but the Roku Express is super simple to set up. It’s easy to set up and easy to use, with an awesome search function and a gargantuan selection of channels. For starters, menu navigation is now smoother, dropping the hiccups we saw in last year's model. One could also argue that the Roku Express is good enough as a cheap gift or streamer for secondary televisions, especially now that its performance is much smoother. I did run into more delays loading some apps compared to the more expensive Streaming Stick, but they didn't happen frequently enough to become frustrating. While scrolling lag has been minimised to be almost unnoticeable, loading and buffering times can be a little longer than you’ll notice on the £10-pricier Fire TV Stick. The decision to use an 802.11b/g/n 2.4GHz Wi-Fi antenna instead of one that uses dual-band 802.11ac is a costly mistake that adds noticeable buffering time at the beginning of streams. The 802.11 b/g/n Wi-Fi adapter for the Express can only connect to networks up to 2.4GHz, and without an Ethernet port, it’s a step slower than its more expensive siblings. While the device streams practically everything under the sun, its curious design, slight lag and lacking remote keep it from becoming a star. Unfortunately, the Roku Express still relies on single-band 802.11n Wi-Fi, which is a full generation behind the latest wireless standard used by all pricier Roku models. These days, most streaming devices have the same key functions and apps. While it can be hard to tell them apart, there are features and compatibilities to consider based on how and where you plan to use them. Is 4K important to you? Are you a Prime member or Apple devotee? How about voice search? These are important questions to ask yourself before buying a streaming device. Streaming devices can be broken into two basic categories: smart TVs and digital media players (DMPs). With a smart TV, you will have access to preloaded and downloadable apps that can be used to stream media through the TV itself. If you have a smart TV, you don’t need a separate digital media player as long as you like the interface and everything functions well for you. However, smart TVs may not have as many apps as a digital media player, and new apps may not get added as often. You’ll also want to check to make sure you can access the apps you will use the most before expecting a smart TV will have everything you need. Digital media players are separate devices that connect to a TV through an HDMI or USB port. They may also be called a streaming device, media player, stick or box. You’re usually much better off getting a digital media player for each of the TVs in your household, as streaming apps are usually made specifically for these devices and will be updated more frequently than with a smart TV. Gaming systems, like Play Station and Xbox, can also be used for streaming. Most digital media players or streaming devices plug into your TV and play directly from the device. Some, like Chromecast, play content from your computer or phone by using a “casting” function that communicates with your TV. Apple TV 4K also has this ability using AirPlay, but you can just play directly from the streaming device as well. All standalone streaming device options are fairly similar, and your choice really depends on the type of media you want to access and what kind of devices you already have and use in your household. The Roku Express and Roku Streaming Stick+ are the most open devices, meaning they aren’t tied to a particular service or suite of devices like Amazon or Apple. While the Amazon Fire Stick offers you all of the same apps as a device like Roku, the experience is greatly improved and has more features if you are Prime member. If you’re a real movie buff, with a new 4K TV and a separate sound system, you’ll want to get a streaming device that is compatible with these upgraded experiences, such as the Roku Streaming Stick+ or the newest version of the Amazon Fire Stick. If you also have lots of digital content through iTunes, you should highly consider Apple TV 4K. If you use other Apple products, you can also view photos and videos through the streaming device. Despite all of the talk around “cord-cutting,” you may need a cord or two to start streaming. You will need a TV with an available HDMI port, a strong Wi-Fi connection, a nearby power outlet and adapter. Depending on the device you may need an HDMI cord or extender. The Amazon Fire Stick and Roku Streaming Stick+ can connect directly into the TV HDMI port. If you don’t have Wi-Fi you’ll need to connect directly with an ethernet cord. Apple TV 4K has an ethernet port and so does Chromecast, but many other streaming devices do not. Every streaming device comes with a remote. They usually have far fewer buttons than the remotes you may be used to, but a lot of the same functions can be found on screen or aren’t necessary. Several streaming devices offer voice remotes that allow you to search, control and call up specific content with your voice commands. The Amazon Fire Stick uses an Alexa for it’s remote, while Apple TV 4K uses Siri and Roku Streaming Stick+ uses their own voice functionality. You actually have a lot of options for what you use as a remote with streaming devices. If you’d rather not use the small, basic remote most of these devices come with, you can also typically use your phone as a remote if you download a compatible app. Apple TV 4K can be controlled with an iPhone, iPad and even Apple Watch. To get rid of multiple remotes, there are universal and smart remote options that can control streaming devices and sometimes other smart home technology as well. Streaming devices are relatively affordable, ranging from roughly $30 for Roku Express to around $200 for Apple TV 4K. Other expenses involved in streaming include your Wi-Fi cost and any additional cords or connectors needed (although most come with everything you need). Some streaming apps are free, but others require a paid subscription to the app itself, a service like Prime or to a cable or satellite provider to use. Overall, many find streaming attractive because of the wide variety of content available, as well as the lack of big, expensive equipment and generally lower costs. The number of people ditching cable and satellite in favor of streaming has picked up in recent years and exceeded estimates in 2018. According to eMarketer, around 33 million adults stopped and did not rejoin cable or satellite services in 2018. This is still far less than paid TV subscribers which total over 180 million. However, a 2017 study found the 70 percent of subscribers felt they did not get enough value for what they paid. The top video streaming services are YouTube and Netflix with Amazon, Hulu, HBO Now and Sling TV trailing behind. It is important to note that you can also use any streaming service in addition to cable or satellite, as long as you have a digital media player or smart TV and your budget allows for it. To stream successfully, there are certain internet speed requirements that will make your experience better. Internet speed is measured in megabits per second or Mbps (also Mb/s). For standard definition viewing, 1.5-2.5 Mbps is recommended, while 6-8 Mbps is required for HD video. If you have a 4K TV, you can stream with 15-25 Mbps, but 25 Mbps is generally preferred. If you choose to get an Amazon Fire Stick, you may want to consider a Prime membership to get more out of your device. In addition to easily adding extra channels, having access to exclusive Prime content and Prime Music, you can also control Amazon Echo, Tap or other compatible smart home devices with your Alexa voice remote. Streaming devices do not come with antennas for watching over-the-air TV. If you don’t plan on signing up for an app with live TV options you will need to buy an HDTV antenna to receive over-the-air channels. If you do opt for an app with live TV, make sure it has the local channels you want, not all services have all channels. Most streaming players don’t have built-in DVR. You may be able to add it to your services with certain apps, like DirectvNow, or buy an additional device, such as TiVO. Or you can wait for the show to become available on demand. Make sure you check to see what kind of storage space you have and how long you’re able to keep your shows. Some offer unlimited time while others will only give you 30 days. If you’re not ready to cut cable or satellite, but still want to try streaming, you can start with a budget-friendly option like the Roku Express. Then, if you find yourself using streaming services more often than not, you can always upgrade to a more full-featured device like the Roku Streaming Stick+ or Amazon Fire TV Stick. One of the best features of a compact streaming device is being able to easily move it or bring it with you. All you need is an HDTV with an HDMI port, a power outlet, and a Wi-Fi connection. You don’t have to worry about not having access to your favorite shows or movies while staying in a hotel or on vacation. For the Streaming Device category, we analyzed 84 of the most popular reviews including reviews from CNET, Tom's Guide, PC World, New York Times Wirecutter, Wired, Digital Trends and more. The result is a ranking of the best Streaming Devices.